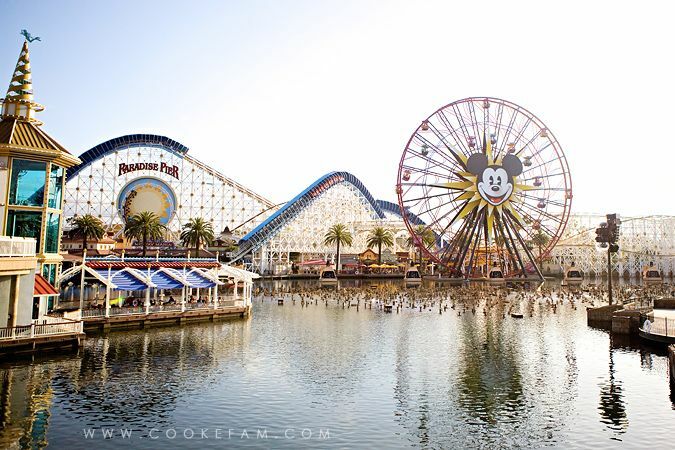 This post is a brief summary of our 2 days at California Adventure Park. 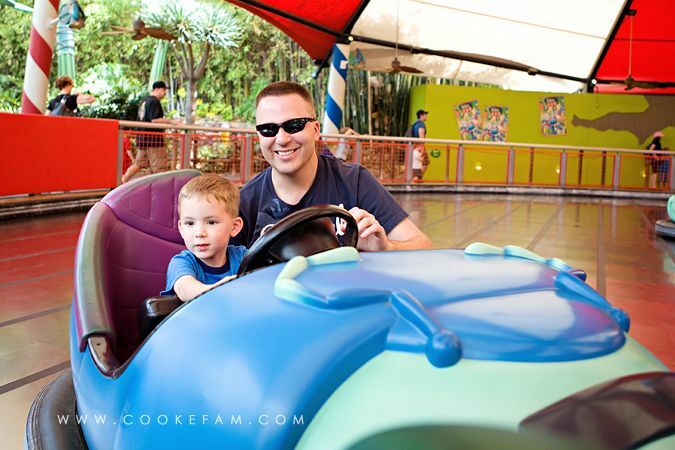 If it were not for Cars Land taking up so much time (which we deliberately chose), I think you could easily do this park in one day. 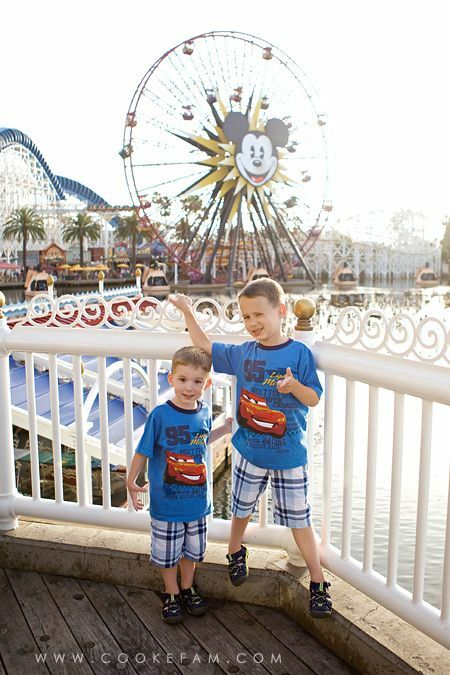 But, because we were able to spend 2 days, we rode several rides more than once, watched the Pixar Play parade twice and went back to the hotel to rest in the afternoon for a couple of hours. So, two days was great for us. 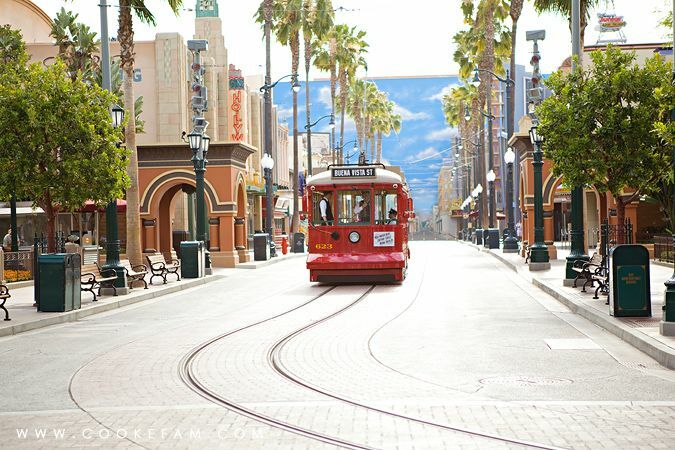 We went to California Adventure on the days we were allowed to go in an hour early. 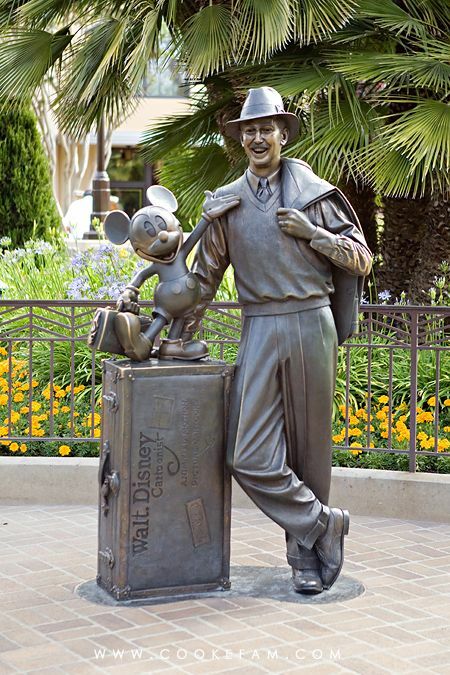 And there is, of course, a statue of Walt and Mickey, which I think is pretty cute. 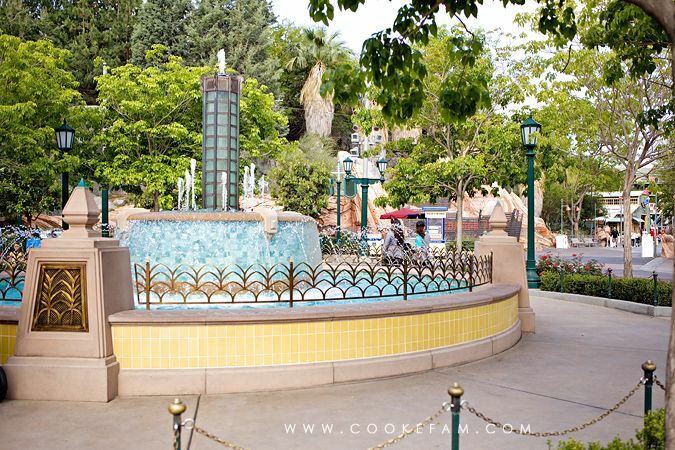 Buena Vista Street and the fountain are sort of the "Main Street" and central hub of this park. 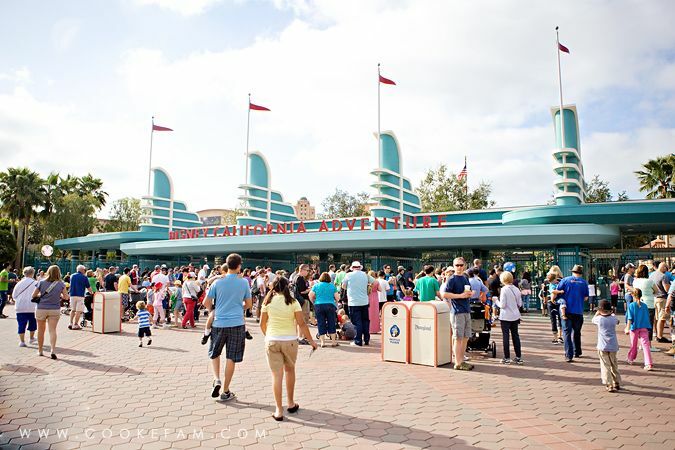 Buena Vista Street is really quite nice and I love how the art deco styling is followed through in the fountain and architecture. The other entrance is a little more dramatic. The boys thought it was so funny that everything was over-sized so that we felt like bugs. 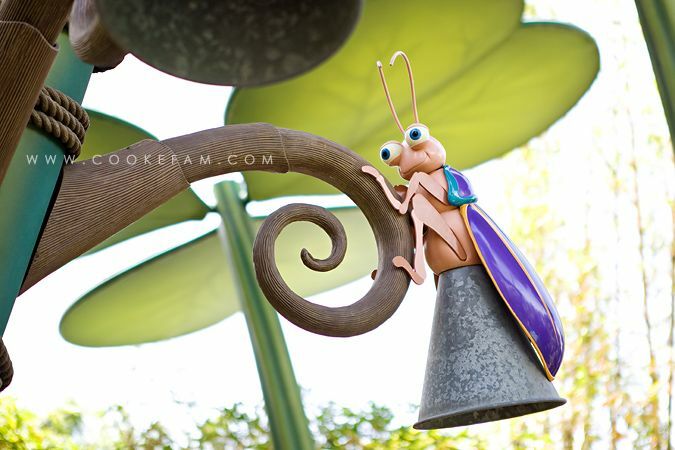 And I loved the detailing (like the bug lamps), as usual. 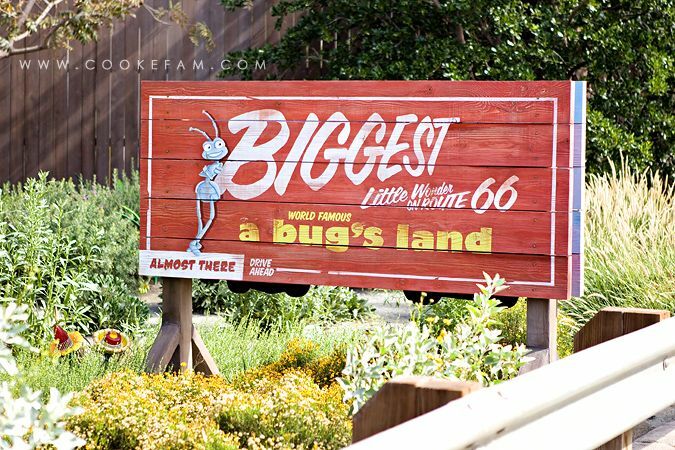 We rode all the rides in Bug's Land - the boys adore Bug's Life, so all of this was a wonder to them. We started with Heimlech's Chew-Chew Train. I love the sign in this shot (and I happen to love Brussels sprouts). All four of us on the train...photo courtesy of Mimi. Next up were Tuck and Roll's Drive 'Em Buggies...in other words, bumper cars. Driven by small children. It was fun and interesting! 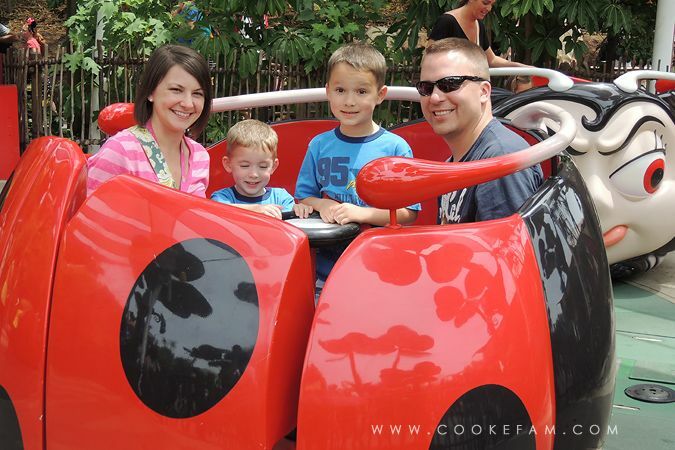 Francis' Ladybug Boogie is very much like Alice's Tea Cups and therefore, just as fun. 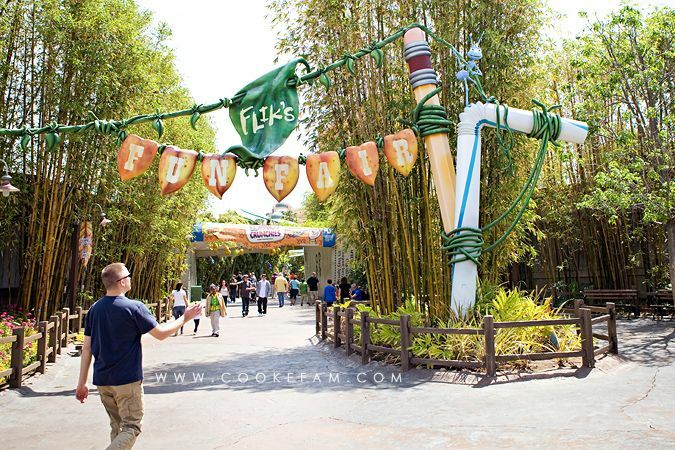 The final ride in Bug's Land was Flick's Flyers, which I just thought was such a cute ride with all the food containers and nature elements. Truly like something out of the movie. 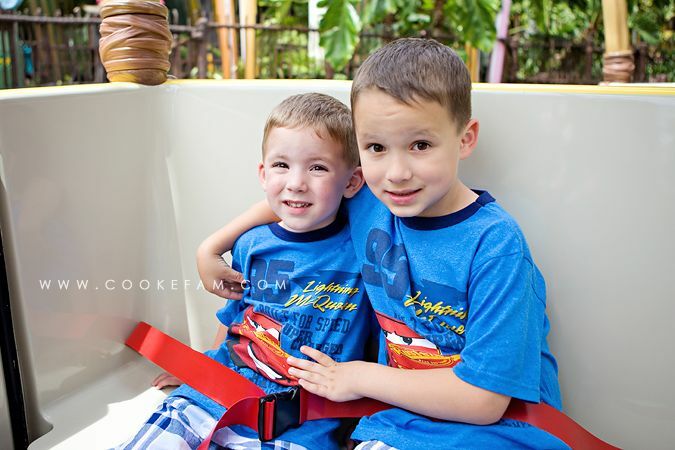 The brothers got to ride next to each other on this one and they were pretty cute too. 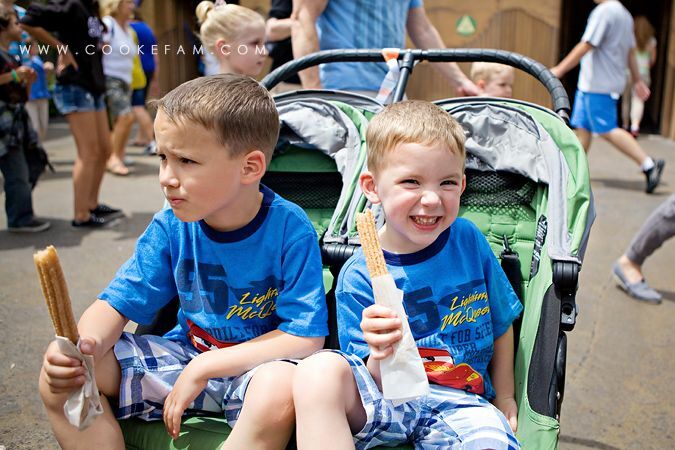 We felt like it was time for a churro break...I had been wanting a churro for a while. I told the boys they were Mexican donuts since they've never had them before. Logan ate about half of his, Ethan didn't like it at all, which is actually not like him. I thought they were quite good! I love the fun perspective "art" at the end of Hollywood Blvd. 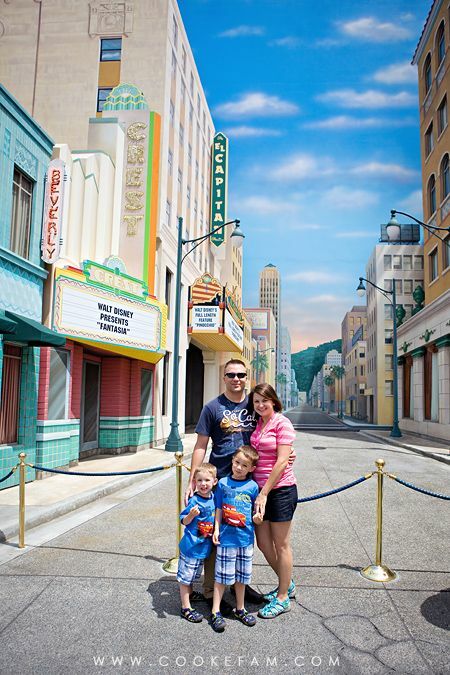 And at the end of Hollywood Blvd., on our way to the Monsters, Inc. ride, we stumbled upon Monster's University. The boys were thrilled. They love this movie and again, all the details were so fun to spot. 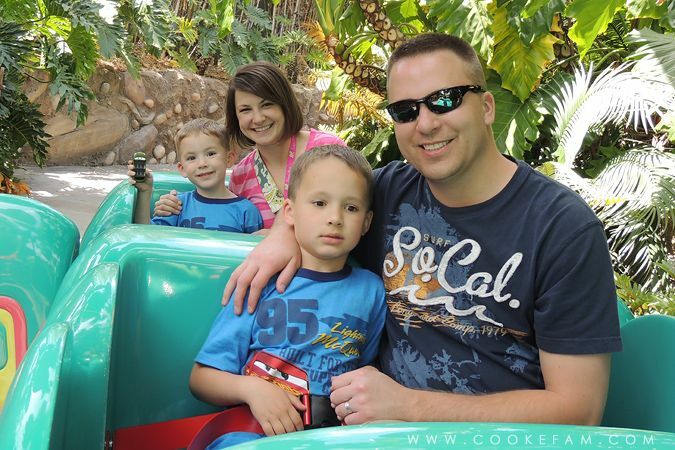 We rode the Monster's Inc. ride twice because it was so great...it was one of my favorite rides and the boys thought so too. 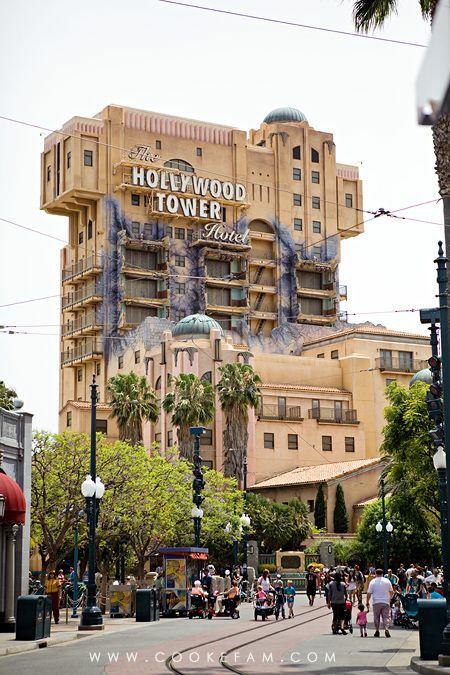 A quick turn around and you're facing the imposing Hollywood Tower of Terror. Both boys were tall enough to ride, but we weren't sure that they should. My mom and I have both been on the one at Disney World several times so we knew basically what to expect. We went back and forth on it, but since all the adults wanted to ride, we all entered the line and thought we might do the rider exchange thing that they sometimes let you do with kids that can't/don't want to ride. But, the boys both said they wanted to. So they did. And boy, were they terrified! But, later on they talked like they loved it! 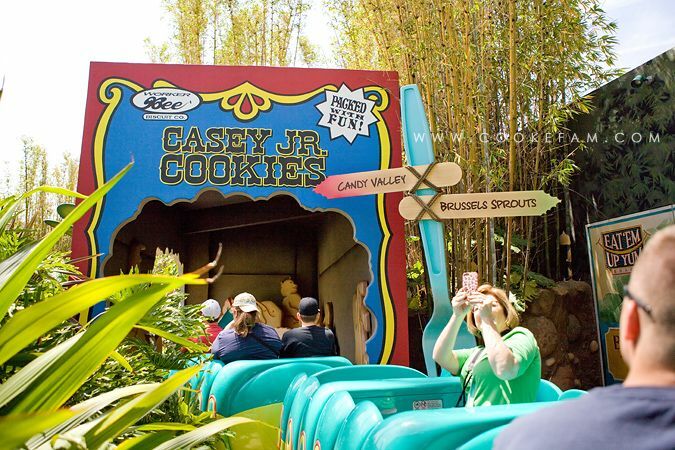 I actually prefer the Disney World version of this ride because it goes into the story more and is a longer ride. It also moves horizontally as well as vertically. But, the actual ride part that drops is pretty much the same! On Hollywood Blvd, we cooled off with two inside shows. First, we went to the Disney Jr. LIVE show, which was really cute and incorporated lots of our boys' favorite Disney Jr. characters in the form of puppets. Then, we went to Turtle Talk with Crush. This is such a cool experience! 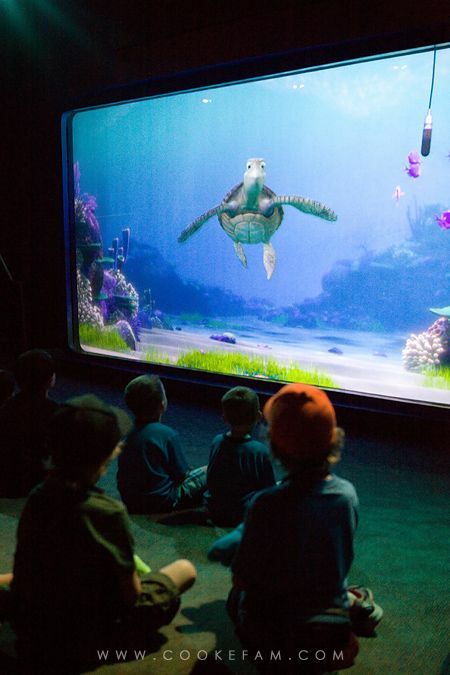 The audience members get to talk to Crush, whom we can see swimming in the ocean through a large "glass" window. You can even see the microphone in the top right corner of the "window." Well, Logan was selected to talk to Crush and it was so cute and funny. I wish I remember exactly what they said to each other, but I do remember that it was awesome. On the other end of the park is Paradise Pier and we spent one evening over here having dinner on the patio of Ariel's Grotto. 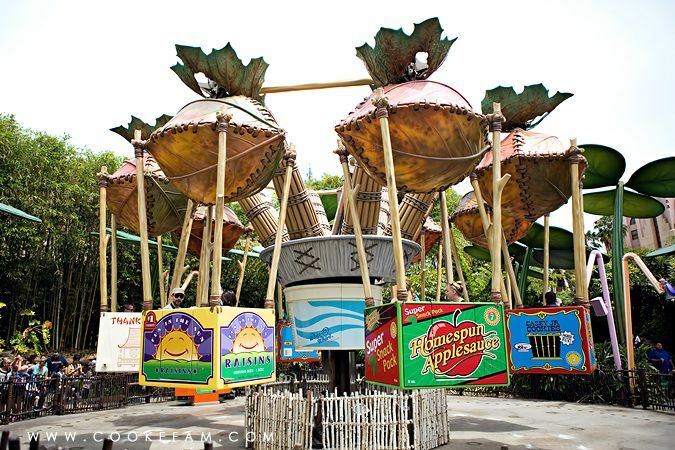 Then, the next day we were in the park, we spent the morning here riding all the rides. 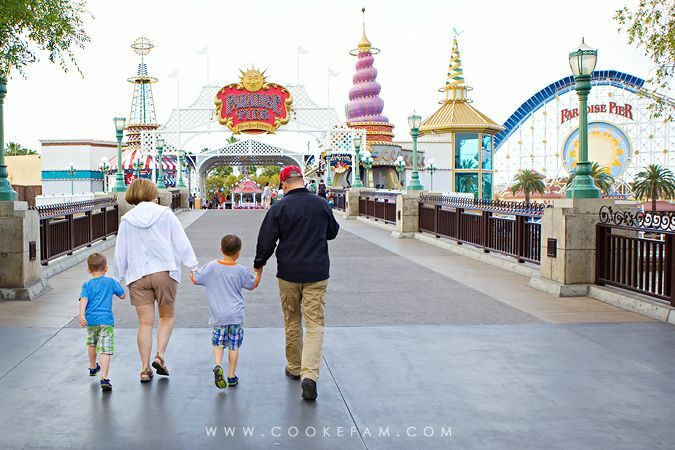 On the morning that we spent in Paradise Pier, we were some of the first over there...everyone else was headed to Cars Land like we had on our first morning in California Adventure. We got to ride the very fun Toy Story Mania ride twice in a row because of the low crowds on this side of the park during that Early Magic Hour. 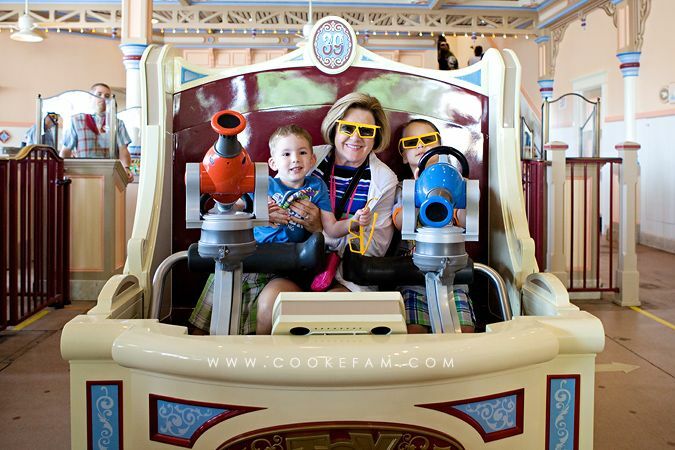 We all had a lot of fun with this ride and the 3D glasses. We did some browsing on the boardwalk and Casey and my mom rode California Screamin' while the boys and I took a lollypop break. 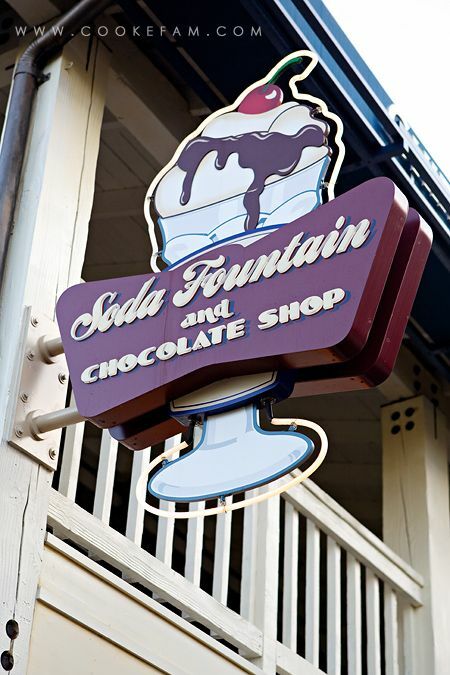 And hello, heaven...this was the Ghirardelli Soda Fountain and Chocolate Shop. It's strange to say, but I did not expect this to be as wonderful as it was. I guess it was just that good. I had a salted caramel sundae, which I Instagrammed. But honestly, there was a giant menu covered on both sides with amazing, sweet concoctions. Normally quick to decide, I was kind of stumped. 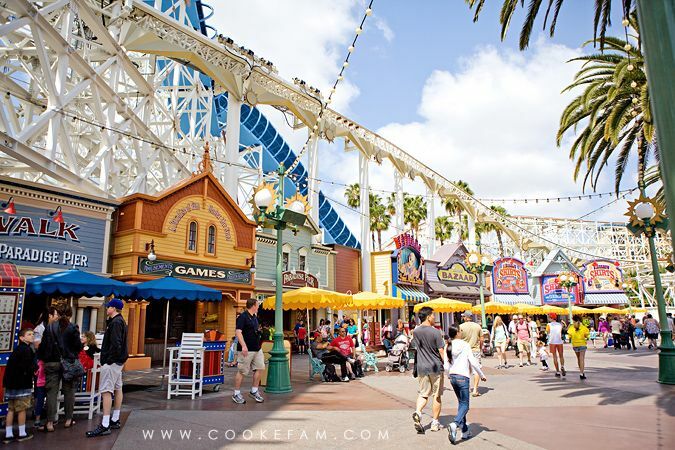 Here's some advice if you go to California Adventure...skip ALL other ice cream parlors and just go here as many times as you can. We also had some really good corn dogs from Corn Dog Castle and rode The Golden Zephyr, Jumpin' Jellyfish, and King Triton's Carousel. Ariel's Undersea Adventure was closed, so we didn't get to do that. 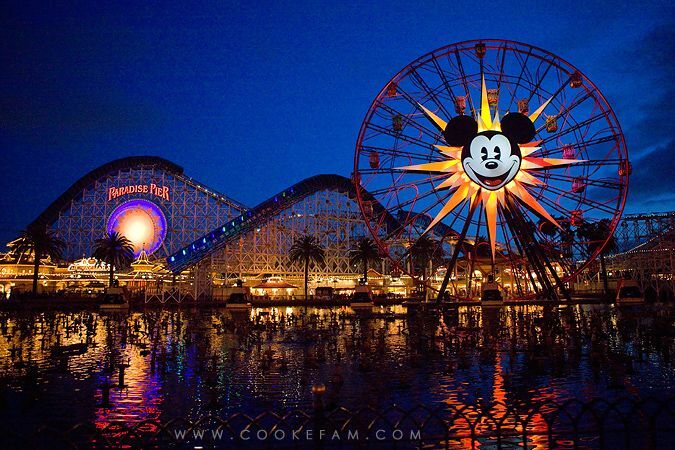 Paradise Pier looks pretty colorful at night...especially during World of Color. (My next (and last) Disney post will be all about shows and such.) 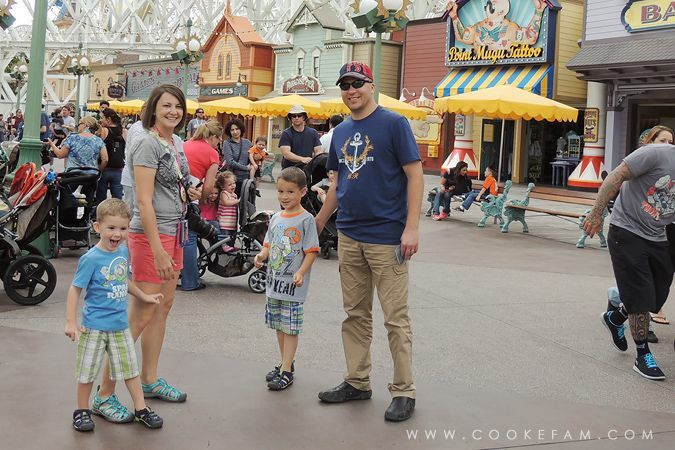 For a park that is criticized quite a bit, we really loved it, although I admit that Cars Land adds a LOT to the park.